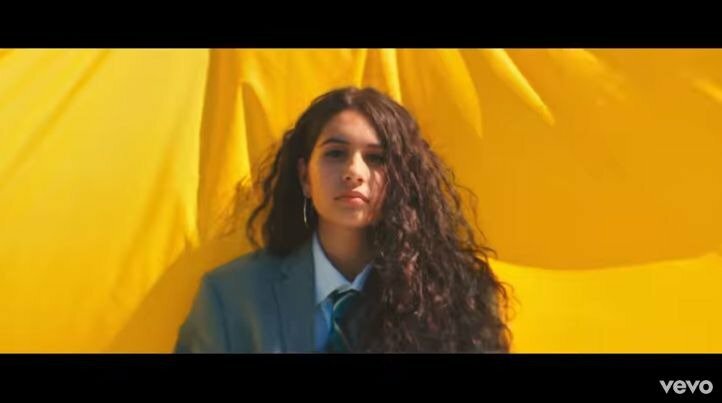 Alessia Cara's latest single will leave you feeling empowered about saying goodbye to a bad relationship. Alessia Cara has released a new song called 'Trust My Lonely' ahead of the release of her sophomore album, 'The Pains of Growing'. The single is all about letting go of a partner who's "bad" for her. "It's time I let you go / I made the mistake, go writing your name on my heart / 'Cause you colours showed," she sings on the track. It's the break-up song you never knew you needed. "Go get your praise from someone else / You did a number on my health / My world is brighter by itself /And I can do better, do better," she sings in the chorus. Alessia told Harper's Bazaar in June that her upcoming album is all about how she faces her problems. "The last album was very much about rebelling against my problems, but this album is a lot more about facing them head on and accepting them fully instead of suppressing them." The Grammy Award winner added that the first single released off the album, 'Growing Pains', set the mood for the rest of the songs to come. "I think I wanted to open with "Growing Pains" because it's a general introduction to what I've been going through and a little bit of a peek into my head and my life. The songs to follow will be more of a microscope on specific things that I've been going through. "Growing Pains" is like, “I'm going through some stuff,” and then each song following that on this album is, “Here’s what they are," she told the publication. 'Growing Pains' is currently at number three on the Chamberlains Top 20.